This is my go-to bible app. Lots of translations (including NIV, NRSV and NLT), most of them downloadable, lots of reading plans to suit all needs (including audio and video plans for those who don’t like reading), and all for free. What’s not to like? If you ever read books of the bible and wonder where all the places that they mention are then this is an app for you. 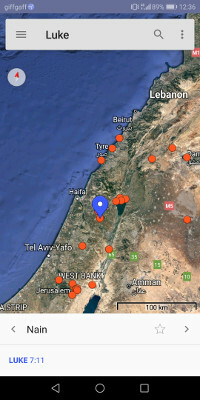 Select a book of the bible and this app will show you all the places mentioned in that book on a map using pin style markers. You can click on a pin for more information. 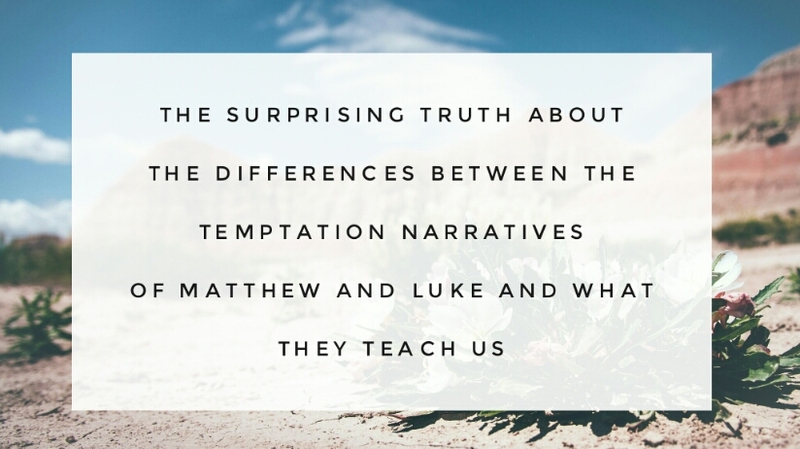 This is a smaller part of a much wider system that is primarily aimed at pastors and theologians. The whole package costs quite a bit, but this app is free. It comes with a bible but that is not what I use it for. As well as the bible it comes with quite a few free books. 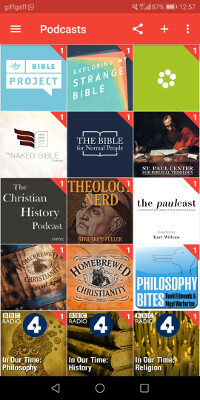 Each month Logos give away a free e-book on their website, and they are really good books! The option is then given to purchase similar books, or books in the series at a heavily discounted price. You can then read them straight from the free app. I mainly use this bible for word studies. Unfortunately, the YouVersion Bible mentioned above does not have the ability to look into the Greek and Hebrew words. 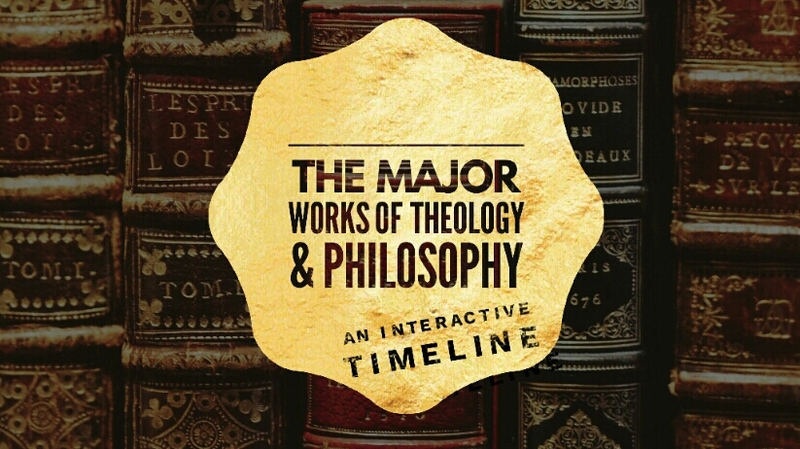 This app comes with easy access to a built-in strong’s concordance. 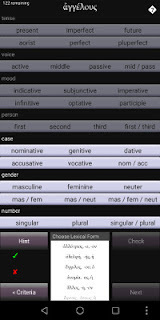 This app contains flashcard sets for most of the courses designed to learn New Testament Greek. This means that I can run through some flash cards (I’m currently going through Bill Mounce’s course) whenever I get a spare moment. By the same person as the flash card app, this app allows you to run through parsing exercises for Biblical Greek. Again this is tailored around the course that you are doing, and most courses are represented. 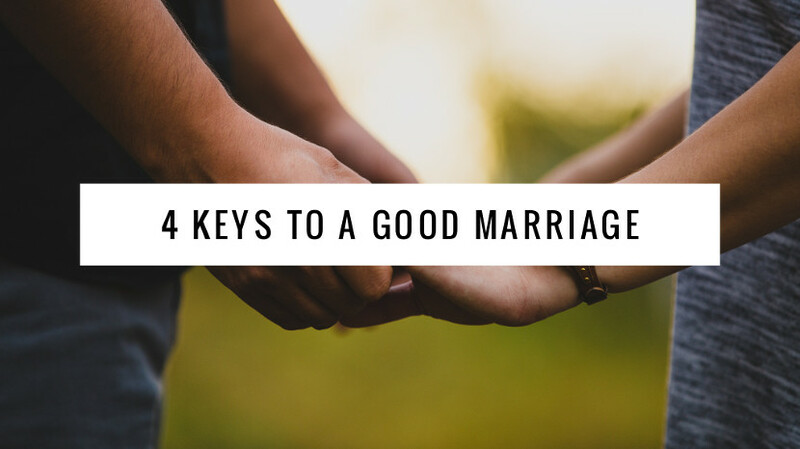 This ensures that you are only tested on material and words that you have already covered. 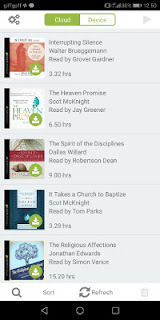 This is an audiobook app that is designed specifically for Christian books. One of the interesting things about this system compared with other audiobook systems is that you receive 4 credits per month, and books on the site cost different amounts of credits. This means that if the books you want are short, or on sale then you could get 4 books per month. There is a one-month free trial available. Easily the best thing about this system (compared with all other audiobook providers I have come across) is that they give away a free audiobook every month and that even applies if you are not a subscriber! The great thing is that the free audiobook is usually very good – the current free book is Fox’s book of martyrs. 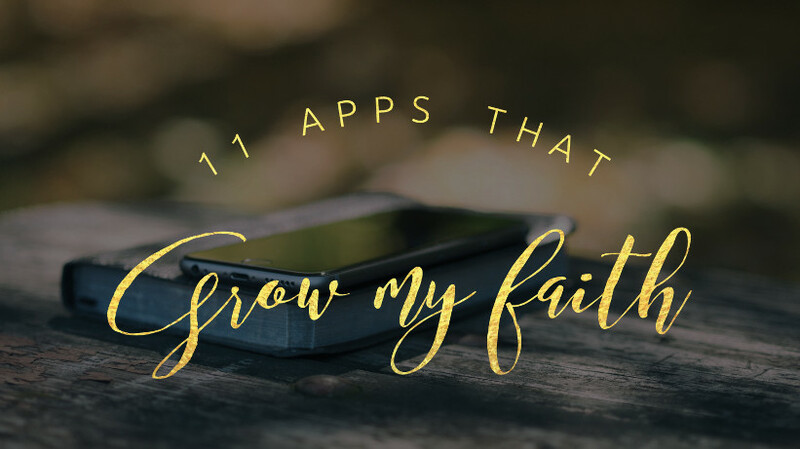 My last four entries are not specifically Christian apps, but nonetheless, they help build my faith by giving me access to faith-building content. 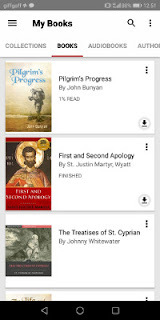 Kobo is an e-reading company that sells e-books and audiobooks. I chose to use kobo because I didn’t agree with Amazon's tax avoidance, but you could easily substitute Kobo for Kindle. I use my Kobo device to read books on theology and Christian Formation. There are plenty of good free books or books for 99p. Currently, I am reading The Biography of Robert Murrey M’Cheyne. This is a great app I found out about recently. 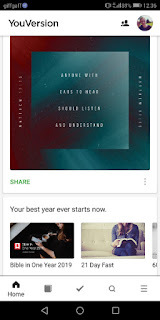 If you see an article or blog post online that you want to read later then you can add it to the pocket app. 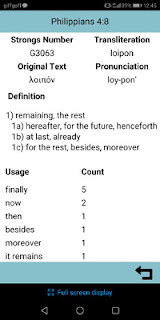 The app contains all the articles that you have saved and tells you how long it will take to read it. 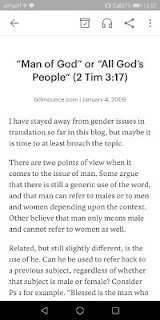 The app also contains a function to read out the contents of the article for those who don’t like reading. My go-to PodCast app. There are so many great podcasts out there on theology, bible studies, sermons and church history. Download a podcast app. Download some podcasts and get listening. 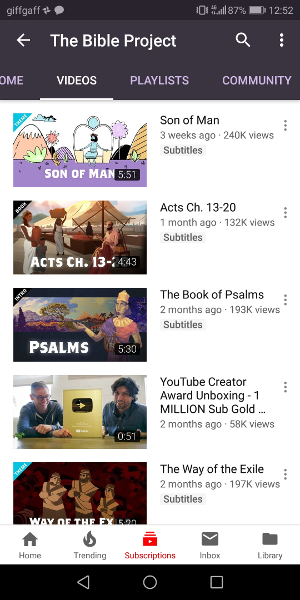 There are so many great channels on YouTube that provide great content. If I had to highlight one it would be The Bible Project, who provide great videos on word studies, themes and bible overviews. Another great channel is St John’s University which is full of brilliant interviews on various aspects of theology and overviews of theological figures. Well, that is my list of apps, but I would really like to hear about yours. Leave a comment below with your favourite faith building apps.